Item # 309630 Stash Points: 4,995 (?) This is the number of points you get in The Zumiez Stash for purchasing this item. Stash points are redeemable for exclusive rewards only available to Zumiez Stash members. To redeem your points check out the rewards catalog on thestash.zumiez.com. 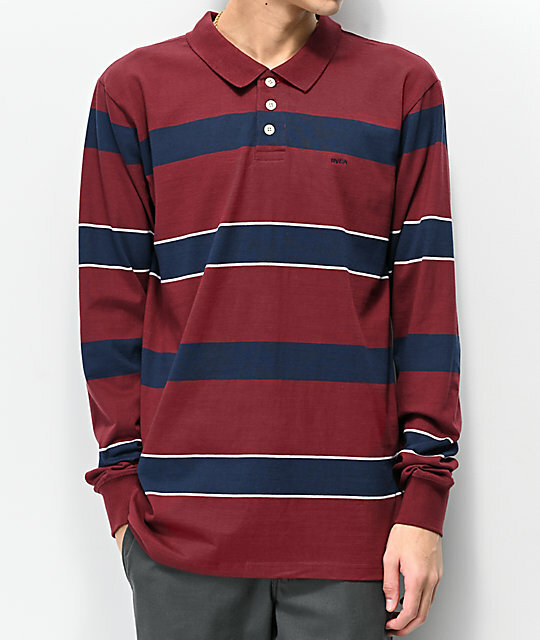 On par with RVCA's reputation for providing clean-cut apparel, the action sports/lifestyle brand presents their new Darklands Burgundy and Navy Stripe Long Sleeve Polo Shirt. Aesthetically, this long sleeve polo portrays a classic rugby-style button up through a bold striped design and a traditional fold down collar. The Darklands is easy to dress up or casually wear down making it a versatile garment for any wardrobe. 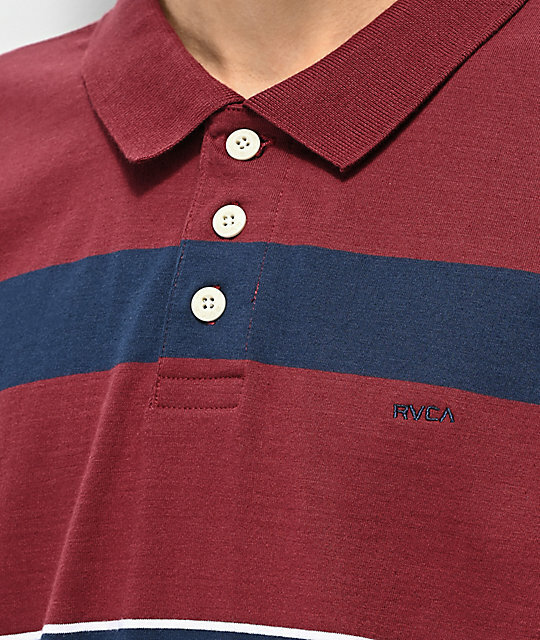 Darklands Burgundy and Navy Stripe Long Sleeve Polo Shirt from RVCA. 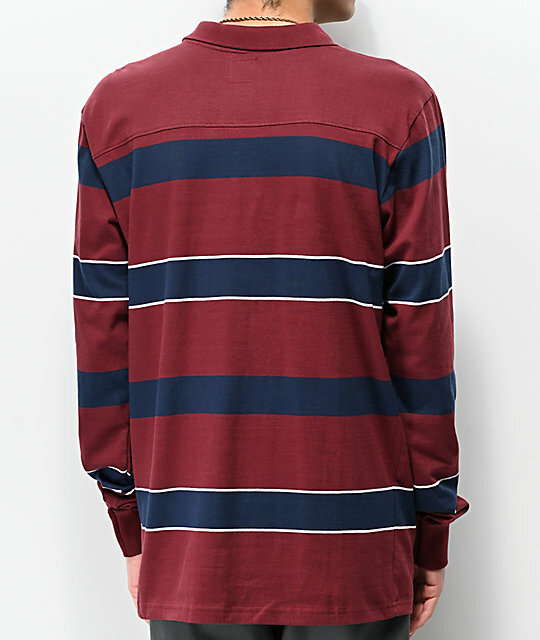 Burgundy, navy and white horizontal stripes throughout. Embroidered logo script on left chest. 30.5" (70cm) from the shoulder to the bottom hem.